For your convenience, we accept cash, debit cards, and credit cards. Payment is expected at the time services are performed. When a pet becomes ill, veterinary care is often an unexpected or unplanned expense. As a result, clients may try to negotiate recommended treatment and fees due to their financial situation. With CareCredit's healthcare credit card you can schedule the care your pets need with convenient monthly payments that fit your budget. Please be ready to present TWO forms of ID's at the time of payment. We welcome all pet insurances which are based on reimbursing systems. You may consider Embrace, Veterinary Pet Insurance (VPI), or Pets Best Insurance. We also encourage you to check out our links to learn more about how to select the best insurance for your pet. 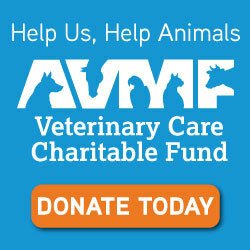 In addition, our clinic is a member of the Veterinary Care Charitable Fund offered through the American Veterinary Medical Foundation (AVMF), with the hopes of providing charitable care at low-cost to those in need we are currently working on building our own fund here. We welcome you to make a donation to the organization on our fund here.